You can’t go wrong when you combine chicken, black beans, salsa, and cheese. 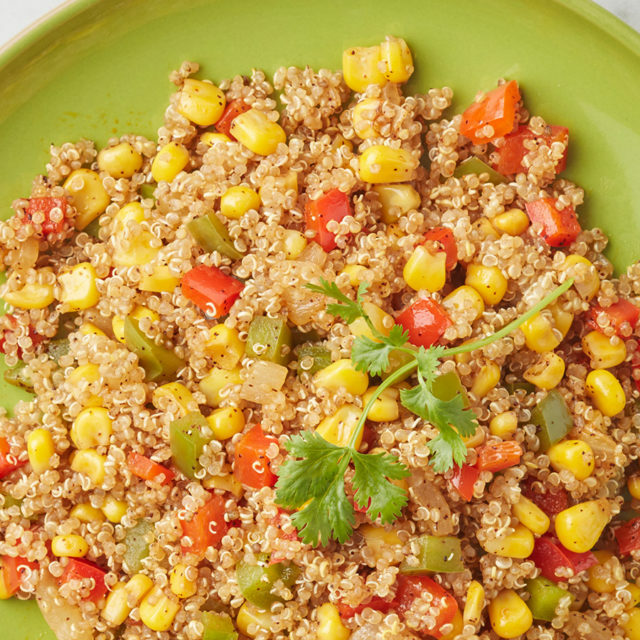 We upped the ante and tossed in the power of Tiny Hero® Golden Quinoa, transforming this Southwest Chicken and Quinoa Bake into a dish that’s bold, full of protein and loaded with flavor. We like ours with extra avocado on top – you know, because we’re suckers for healthy texture. Chopped fresh cilantro, lime wedges and diced avocado for garnish. Preheat oven to 350℉. Grease a small casserole dish or 9×9-inch glass baking dish with oil and set aside. Place 4 cups water into a large pot over high heat. Once water is boiling, add quinoa and stir. Cook for 15 minutes or until tender. Drain quinoa by pouring into a fine mesh strainer. Allow quinoa to drain well. 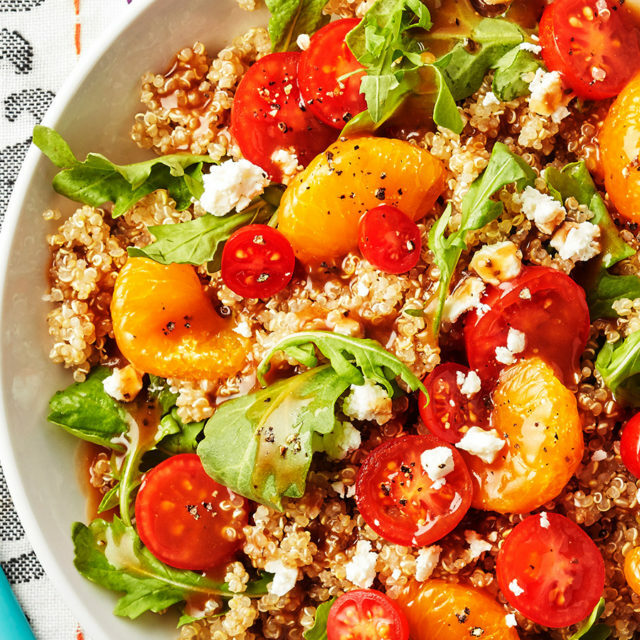 While quinoa is cooking, place a large skillet over medium-high heat and add 2 tsp. oil. When oil starts to simmer, add cubed chicken. Cook 5-6 minutes then stir with a spatula. Continue cooking another 3-4 minutes or until chicken is no longer pink inside. 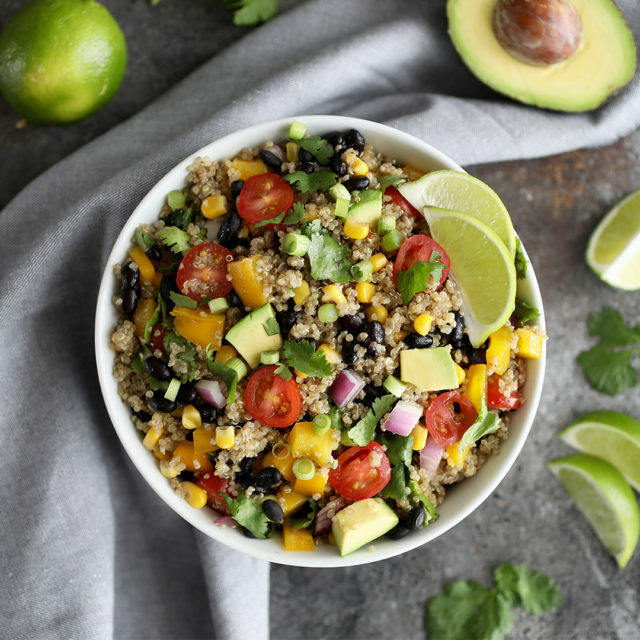 In a large bowl, combine drained quinoa, chicken, black beans, corn, green chilis, salsa, seasonings and ¼ cup of the cheese. Stir well to combine. Transfer to greased baking dish and cover with foil. Bake at 350℉ for 25-30 minutes or until heated through. Remove foil and sprinkle remaining ¼ cup of shredded cheese over quinoa mixture before serving. Serve with cilantro, lime wedges and diced avocado. To make vegetarian: Substitute an additional 1 – 1 ½ cups black beans (or pinto beans) for chicken.